A big thank you to all Tower 42 occupants for their support for Variety the Children’s Charity. 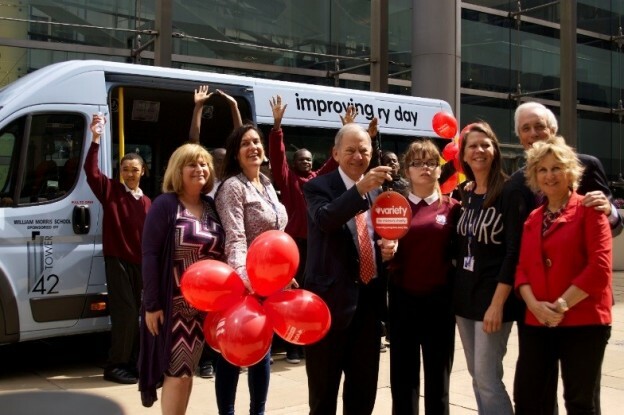 Donations were received from a variety of sources including our occupiers, all of which contributed towards the purchase of the specially modified coach donated to the William Morris School in Walthamstow. Eight of the schoolchildren attended the coach handover ceremony and were treated to the great views and soft refreshments in Vertigo 42. This entry was posted in Uncategorized on June 25, 2014 by sh6yw.